Tony Lossano, etc. : Forced Retirement for Big Name Celebrities! Forced Retirement for Big Name Celebrities! I first thought that she was being forced out and said that these rumors will soon become true. As I have been noticing a trend, where older celebs were being pushed out under the ruse of volunteer retirement. We were told Larry King, (79), wanted to retire from doing Larry King Live, even though he is currently hosting a similar show on Hulu, called, Larry King Now. The major difference between the shows is, Larry is now on something that people want to watch while waiting at the airport. Larry did tell Craig Ferguson that CNN offered him a one year deal, which he usually got a three year deal, so he may have ultimately made the decision to leave, while he had some dignity still. Regis Philbin, (81), also retired for the national program that he started with, back when it was just a local program in New York. Rumors in the industry were claiming that ABC offered Regis an extension, but what they offered was no where near what he was making. 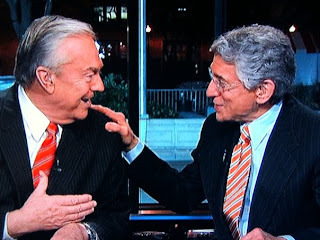 Locally, we saw the grand send off to Bill Kurtis, (72), & Walter Jacobson, (75), from their CBS Chicago newscast. It was reported that Bill & Walter's contract were not going to be extended beyond February, 2013, and that both said that they would have continued if asked. Somehow, on the night of their farewell broadcast, a tribute tape was played, wishing them well on their retirement. Jay Leno, (63), has been screwed so many times by NBC. 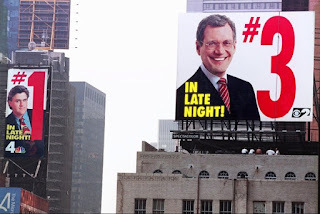 Forget whether you dislike his show or not, he did pull in great rating numbers each night, yet, early on, after a year and a half after taking over The Tonight Show. In 1991, David Letterman threaten to leave his popular Late Night program. NBC offered Dave the show, with an additional waiting period, which he eventually turned down and jumped to CBS. “I mean, I had the job.” Jay pointed out in a press conference, “What we're celebrating is the fact that I haven't been fired.” That was Jay's first shot of support from NBC. Years later, another popular, and now younger Late Night host threatens to leave, this time it is Conan O'Brien. NBC offers him Jay's spot, but with a waiting period. So in September, 2004, Jay announced his retirement, effective 2009. Three years later, Jay said that he would like to stay on beyond 2009. After only six months with Conan hosting The Tonight Show, the ratings dropped, so NBC pulled the plug on that deal and put Jay back on as host. Fallon: "Only you, every night you throw to me, Jay Leno. In the news, all they do is say 'I'm replacing you.' They think I can woo the demo." Leno: "Tonight, tonight, my ratings were all right. Twenty years, and I'm still in first place." Days later, Jay "announces" that he will be leaving The Tonight Show. 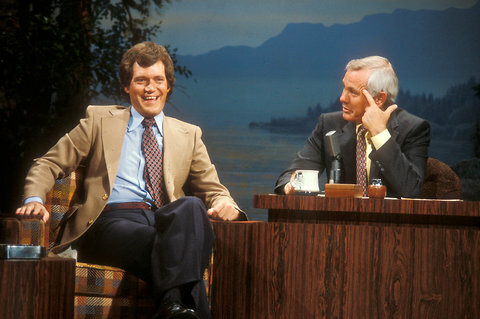 With Jay Leno still on top, I find it hard to believe that NBC is once again forcing out their host for The Tonight Show. 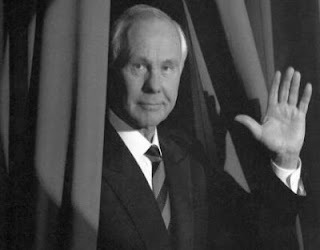 In, 1990, Jay's former abrasive agent Helen Kushnick started false rumors about NBC forcing Johnny Carson, (66 at the time), into retirement. The NY Post (2-11-91) headline read: "There Goes Johnny; NBC Looking to Dump Carson for Jay Leno." The next day, NBC released a statement that it's up to Carson to announce his retirement. It did not mention Carson always hosting the show. 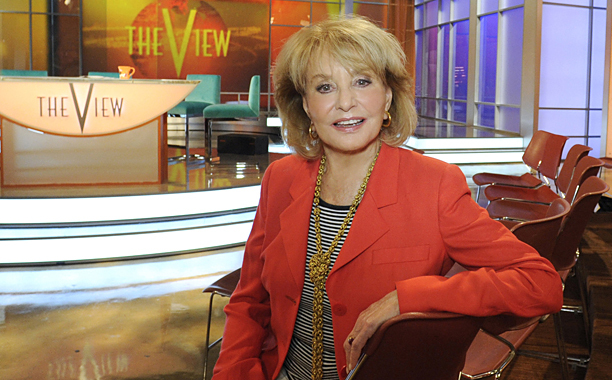 Is Barbara Walters leaving on her own or is she being pushed out? I can't imagine that she wants to stop doing TV altogether, as she has said. However, I can see her wanting to leave while still being on top of her game. I felt that my idol, Johnny Carson did just that. He ensured that his image was never tarnished with staying too long or ruining his legacy with a failed comeback. ...but what did that to to the man himself? This is what Johnny loved doing and now it was all gone. So if you love what you do so much, that you'll be miserable if you weren't doing it, then why would you leave? In my opinion, besides reasons like; spending time with family or for health reason, you simply wouldn't quit doing what you love. You may make a change or cut down on what you do, but to just walk away...I don't think so. Unless you were told to. Like in 2006, Star Jones announced on a live broadcast of The View that she would be leaving the show. She was too young to retire and knowing that she has many years to still do what she loves, she decided to call the producers out, (Barbara Walters being one of the producers). Star's decision to leave was not her own, but Barbara were ready to present it as if it was. To allow her leave with dignity. Star decided to leave on her own terms, as she explained later when Star returned for a visit to The View. If it is Barbara Walters' call to retire, I wish her all of the best, but if this is just the suits pushing out another living legend, then shame on them for not having the balls on admitting that they are the ones pushing her out.